I'm having difficulty identifying some surface mount components on a video card I'm attempting to repair (They have been knocked off). I have a working card which i can use as reference- attached below is a picture of the video card pcb with the unknown components highlighted in red. D507 - "76t" - 3 legs - Diode? U506 - "6EF" - 5 legs - IC (Voltage Regulator)? Q130 - "MA5" - 6 legs - Transistor? Browse other questions tagged identification surface-mount repair or ask your own question. 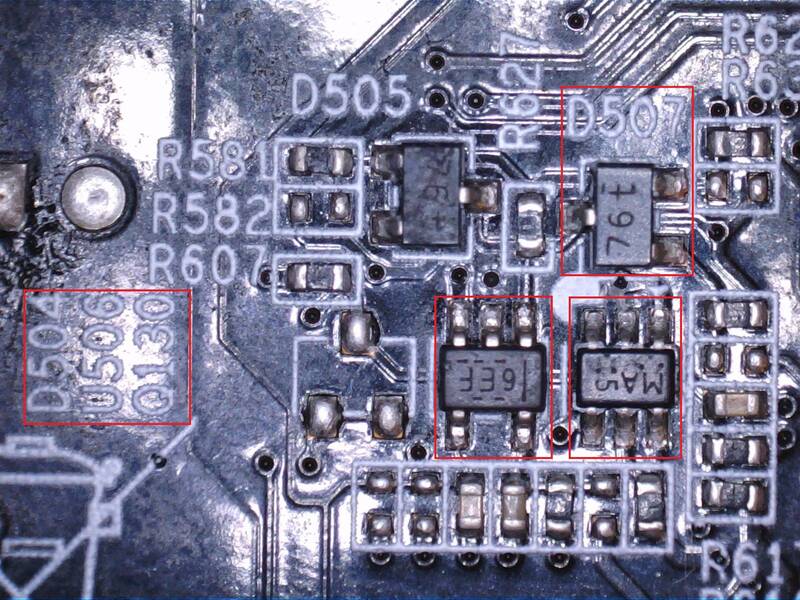 What is a good methodology to identify small SMD components? What kind of capacitors are these small, cube-shaped surface-mount components?